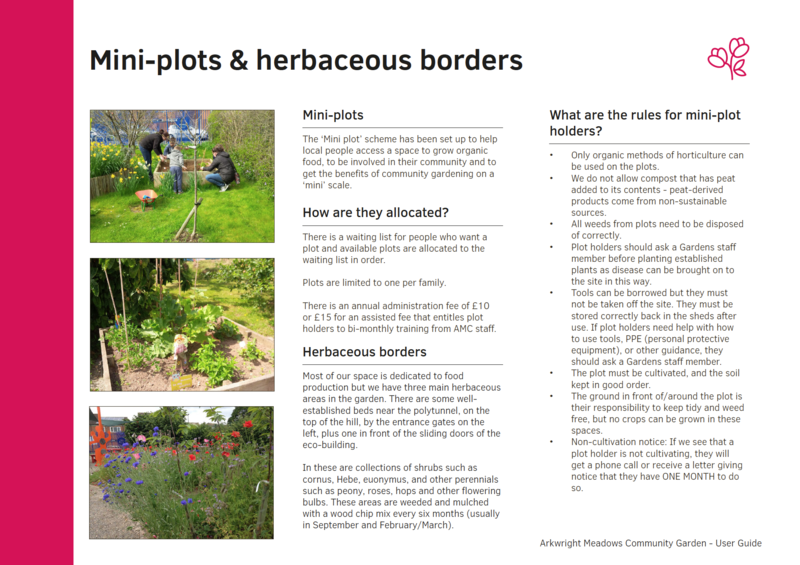 We worked with Arkwright Meadows Community Gardens in the Meadows, Nottingham, to produce a user guide for their gardens and building. 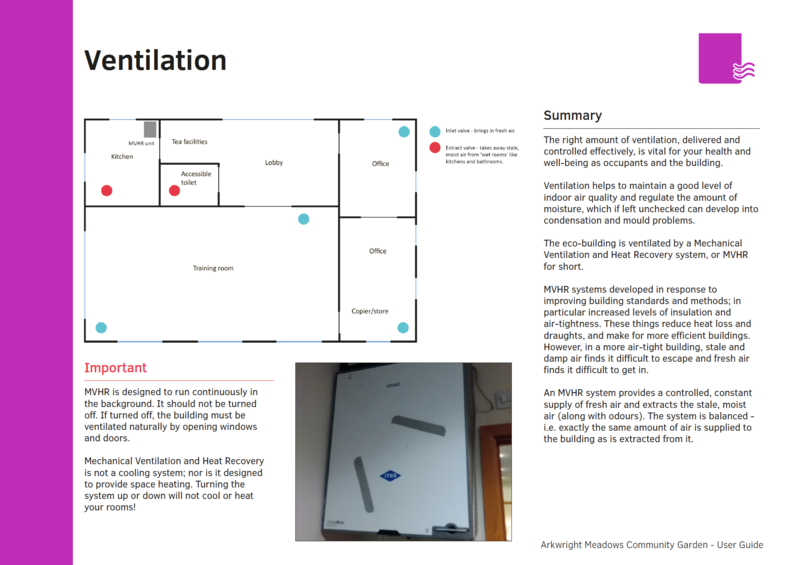 This built on our work on home user guides, including for new housing developments in the same neighbourhood. 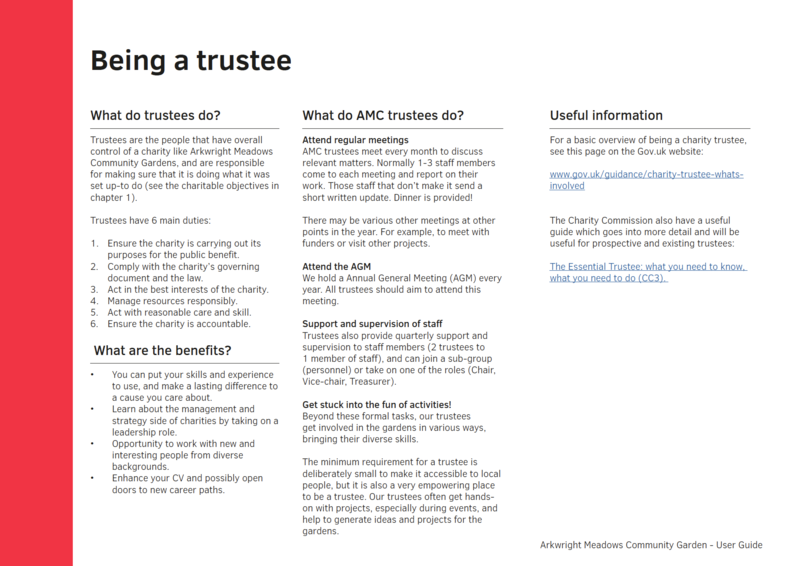 The guide collates the knowledge held by existing trustees, staff and volunteers into a resource that can support everyone to better use the gardens and buildings now and in the future. 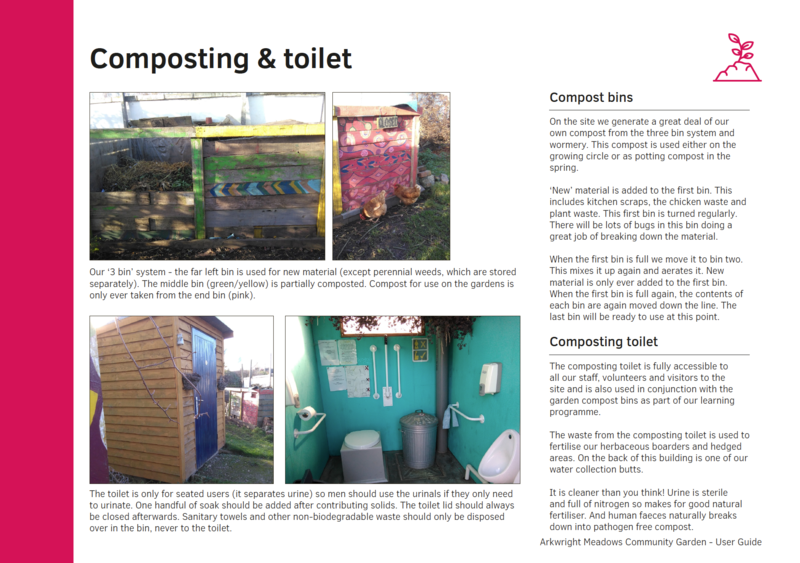 An informative and visual guide, it is designed so that the organisation can easily print and update it in future. 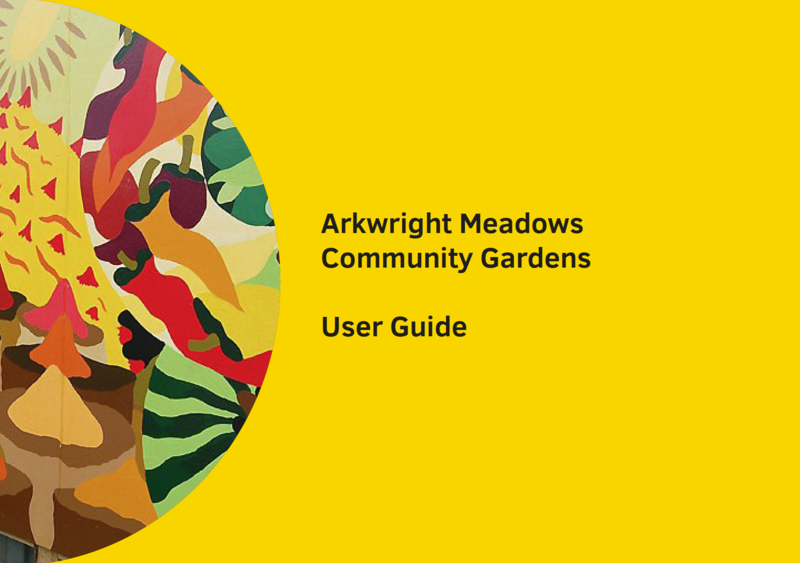 Arkwright Meadows Community Gardens was created in 2001 by local Meadows residents coming together with the ambition to transform part of an existing playing field into a green space for local people to use. Local residents now enjoy the benefits of a safe space for family events, a place of learning and opportunity to buy freshly grown fruit and vegetables.